Scan Alarms employ a large team of highly trained, experienced engineers who help to provide our emergency service to all maintained customers, enabling us to provide a quick and efficient response. 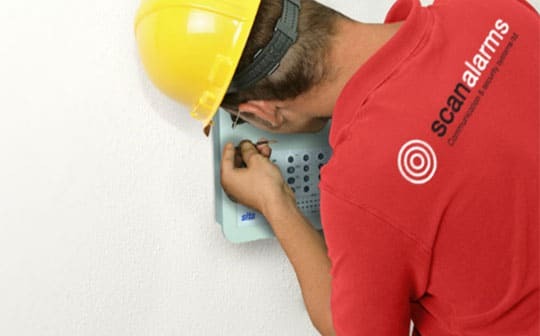 Remote engineer access for fault diagnostics and servicing is also widely used by Scan Alarms to reduce response times and callout costs, this can be installed on all new systems and easily upgraded on existing sites. Scan Alarms have had excellent results maintaining security contracts with various high profile companies over the last 35 years. Including The University of Bedford for the last 7 years. Bedford College with over 10 separate sites. Renewing and maintaining a site wide IP CCTV system for Bedford Hospital, plus dozens of local schools and businesses.